December has been a foggy month. Between the rush of job interviewing, negotiations and managing offers, the crash that came after the ink dried on the offer letter left me wanting to do nothing but sleep. So slept I did. In the midst of holiday preparations and closing out projects while preparing for the transition. Sleep came surprisingly easily. Strange things happen to your brain and your body when one finds themselves unraveling. Though your brain can still be going a million miles an hour, you also can feel like you're moving through molasses. To those outside observing, one may simply seem out of sorts. But the reality is so much is happening underneath the surface. The past couple of days have marked a need to reravel. The news of loss (really Universe? It had to be both Carrie Fisher and George Michael within days of one another?) combined with my birthday and finally the urgency with my family to make amends with my grandmothers (apparently they are both on borrowed time) has forced to resurface from the fog I've been in. Be it very reluctantly. I know there's still more healing to do; the hours spent knitting, reading, reflecting and dozing haven't fully cleared my head. But that will have to be for another time. Knitting has always been a refuge; a gateway to meditation. Like anything that is good for me, I struggle to pick up the needles until well after the point I needed to, but the healing they bring is always immeasurable. 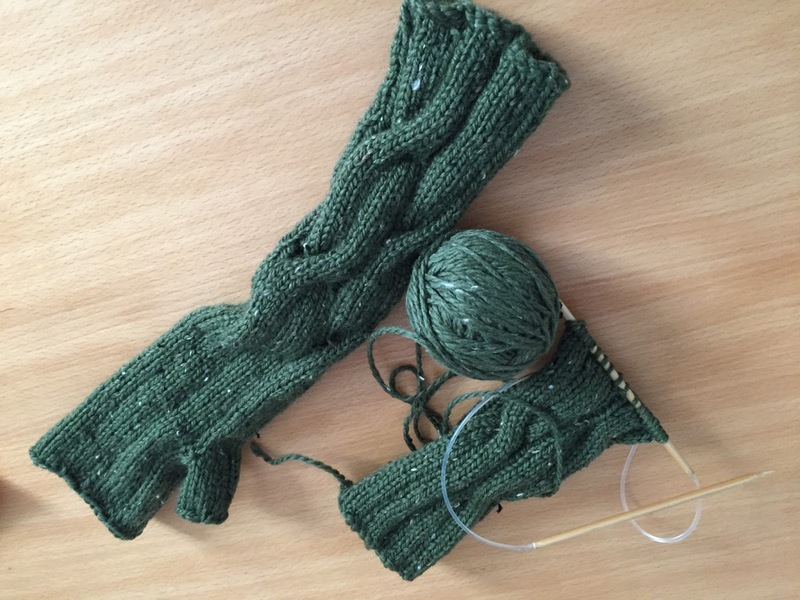 Knitting through the valleys and cliffs of graduate school. Knitting through the trauma, heartache and despair of infertility. And now knitting again through this transition. Two hats and a set of fingerless gloves down. Martha's hat to go and these gloves for me in progress. Plans for other projects to come. It's been almost 48 hours since the "not No" email and already the drama is in high gear. There's panic about when I can start the position. There's panic about how exactly I did the interview process (really?). But the final component is the one Grey and I have been most concerned about: salary. One of the hardest realities of being an educator in higher education institutions is how poor the pay is. While tenured faculty can make a comfortable living, those in temporary, non-tenure positions usual make far less (below $50,000 per year is not uncommon). Add in no office space for office hours, lack of job security, uncertainty about benefits and zero voting rights, and you have a subclass of educators who make up the majority of instructors in post-secondary institutions all over this country. There have been efforts to resolve this (unionizing faculty across the country) that have been met with a ton of resistance. The culture is one where university education has become a business, focusing on new dorms, rec centers and wade pools instead of fair pay and support for those who are doing the teaching. Today I had a meeting with the admin to talk about my offer for this position. After answering a few questions, she told me a number that immediately made my heart sink. Circling back, I began to state my case for how my years of instructional experience warranted that I be in a higher pay grade. Even then, given the argument that it's academia, the offer will be $5000 less than what we were hoping for. So here I sit in a cafeteria, waiting for my next meeting, feeling frustrated. On the one hand, this opportunity could open doors. I'm also burning out on research, particularly as my bully is still persisting with her toxic campaign, making work a less-than-fun experience. The flip is, what if something better comes along if I just waited it out? The point of being a postdoc is to train and make these connections, something that would become limited again if I took this position due to obligations to the course. I've been told that I may get a formal offer by Friday. The question is, is it worth it? The email came around 2:30 pm. Preparing to go into the lab to do some bench work, I was checking my phone for any urgent emails when I spotted it. Taking a deep breath and steadying myself against my desk, I opened it and began to scan for the usual rejection line stating that they had decided on another candidate. Shaking my head, I did a quick second pass, glossing over the paragraphs. It was then that I realized I wasn't staring at a rejection letter. I slowly sank into my seat so that I could carefully read the letter that was in front of me. I'm still waiting on the formal offer letter. Still planning on applying for those other positions that are sitting on my to do list. Even if that looks good, E and I have to figure out how to do this transition. Nothing is finalized and all of this can still fall apart. But for the first time in a while, the answer isn't no. Friday, after spending 2 days feeling sorry for myself, I made the decision to get back into the job hunting game. Shaving my legs, curling my hair and donning a new (to me) dress, I went into work and spent most of the morning updating my resume and searching job boards. The goal is to get back into the routine of hunting, with applying for/inquiring about at least 3-5 positions a week. No matter the outcome, I just need to keep putting myself out there. To fuel this climb back into the saddle has been the soundtrack from Muriel's Wedding. Nothing like the story of an underdog who finds a way to come out on top to motivate. *TRIGGER WARNING: Post about motherhood and the Beats ahead. For those not in a place where they want to hear about small children and encounters with other mothers, PLEASE skip this. As always take care of yourself first. It was a simple incident. One that happened so fast that I find myself questioning it. Did it even happen? Does it truly matter? And yet it's been sitting with me all afternoon. So I might as well get it out. This morning, as Grey was out running errands, I walked with the Beats down to a local shop to buy a crepe for them for lunch. In an effort to avoid the busy main streets, we walked through the neighborhood. Coming back from the shop, we encountered a woman you was pushing a stroller towards her car parked in front of her house. Eying me and the Beats she said hello before swinging the stroller in next to her car. Seeing that she had loaded a young boy in the stroller and I looked back to see if she would be heading our direction. Knowing I had two small kids on foot, sharing the sidewalk wasn't going to be much of an option. Once it became clear that she was heading out direction, pointing her stroller directly at us, I stopped the Beats and informed them that we needed to cross the street to make room for the stroller. Looking both ways, we hustled across. As soon as we got to the other side, I heard this woman ask the boy if he wanted to cross the street at the exact location we had vacated. In seconds, she was behind us. "Can I get by?" she asked sweetly. Looking around, the only option was for me and the Beats to step into the road. Yet she insisted. Looking at her, I pointed out that we had literally just crossed the street to avoid this issue. To which she responded "Oh! But he wanted to cross here." She then pushed passed us, narrowly missing both kids, and proceeded ahead of us. "Why did she do that Momma?" He-Beat asked me as soon as we were back on the sidewalk. Both shocked and angry, it took me a second to recover before we turned the corner to make our way home. "I don't know baby," I answered. "Sometimes people do selfish things." Two weeks ago, Mel and Lori both wrote tandem posts that talked addressed the human selfishness. Lori's post about a driver who parked insanely close to her car, prompting her later reflect on her continuing to think about that incident has been on my mind all afternoon. After all, I was allowing this incident to affect my mood, which wasn't a good thing. But I've been countering Lori's insight of jackassing ourselves with Mel's question about whether people are actually good. The bow on this inner turmoil is a documentary I recently watched about why people lie. Dan Ariely's work on irrationality isn't new to me, but what stuck with me is all the mechanisms we natural put into play in order to defend behavior that only gives us a slight advantage. We cheat because others are doing it, or we have some sort of inherent right, or because it's only a small fudge and won't really hurt others. Equally striking was how quickly that can all be torn down when people are reminded of their moral code. Ask them to swear on the bible or recall the 10 commandments (even if they are atheist), or simply ask someone to sign an honor code before a test or situation where they have the potential to cheat and cheating/lying disappears. When we are faced with our morality, often it wins. I recently had my own encounter with morality. I believe in free speech and that conflicting opinions should be heard. Even when I don't agree. Because of this, I have approved 99.9% of comments that have been posted by actual humans to my blog (spam aside, of course). On Wednesday I got my second ever troll comment from LydiaofCO. A new commenter with an account I can't access. The post was simple: "What a great night the election turned out to be! Remember, you preach love, open minded and tolerance. Practice what you preach!" My gut was initially to delete it. After all, who would know. But my moral code had me hold the comment, asking me if doing so was somehow silencing an valid opinion that needs to be heard outside the echo chamber. After all, this is someone who clearly has different views from myself. At the end of the day, I won't be posting LydiaofCO's comment. I'm not interested in my comments section becoming a forum for others to scream nonsense at one another and, frankly, she doesn't express anything that adds insight to the conversation. But what it did do is provide the final piece to the puzzle today. One of wondering whether a similar exercise for the stroller mother would be useful. During nap time, I wrote the following letter. Today you had an encounter with myself and my two 3 years olds that presented a safety hazard to my kids. We were walking home after a trip to store when we encountered you pushing your stroller out to your car to load your son. In an effort to accommodate you, I crossed the street with my kids so that you would not be burdened with having to walk behind two toddlers. I found it interesting that you decided to cross at the exact same location, knowing full well that there would be two toddlers walking directly in front of you. When I pointed this out, your excuse was that your son had requested you cross there even though witnessed you stopping your stroller and then asking him and being aware that we had just done the exact same thing. Three weeks ago, we learned how deeply divided our country is and how filled with hate so many of our citizens are. There has been a call to build community both to weather the pending storm that is coming but also to help foster the next generation. After our encounter, which left myself and my kids very shaken, we had a long conversation about selfish behavior and putting ones wants over the safety and security of others ends up costing us all. Though you may not see this, your decision effectively was one that forced my kids off the safety of the sidewalk and into the dangers of the road. This could have easily been avoided all together given that you could easily have pushed your stroller on the other sidewalk for a bit and then crossed. What followed with this conversation was reasons why people who see themselves as inherently good make such decisions. We talked about the fact that you could have been having a bad day. Or that you were sad for some reason. Given how interested you were in these two, it’s possible you may have had a bad encounter with another mother who also had toddlers and felt a need to punish us for someone else’s wrong. 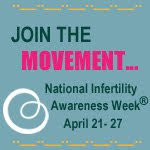 You could also be sad as you may be dealing with secondary infertility or having conflicts with your partner about growing your family again. Or you could have just felt a need to pick on someone who seemed foreign to you. After all, there’s no reason you would ever see us again, so why treat us fairly? So in a way, I do have to thank you as this encounter has been the start of a life-long discussion my husband and I will be having with our kids. About how we need to model our moral values and hopes for the world. Because the interaction with you today demonstrated the negative impacts self-centeredness and pettiness have on us at both as individuals as well as at global level. I am sorry that you felt the need to act the way you did. In the end, everyone lost in that situation. Even your son as you modeled for him that it is okay to treat others poorly in order to get something you want. It’s so sad because this mentality only leads racism, xenophobia, bigotry and general fear. It’s a hard way to go through life. I’m even more sorry that you felt the need to act this way towards a stranger. That though you and I will likely never cross paths again (I can’t risk exposing my children to you again as their safety is my primary concern), you felt a need to treat two toddlers who are significantly smaller than you and their caretaker in such a manner. " Just writing this letter alleviated a lot of the pent-up negativity. The question now is whether to send it as I have her address and can easily mail it. On the one hand, am I just adding to the negativity, causing more harm than good (a fear I generally have). But on the other, after living in a world where people block any perceived negative feedback, would the shock of this letter actually benefit? We are living the direct consequence of so many putting their heads in the sand, ignoring the plight and insights of others as it makes us reevaluate ourselves.